The Kremlin criticized the idea of US arms deliveries to Ukraine on Tuesday, saying they may lead to a new escalation of the conflict in the Donbass region. MOSCOW (Sputnik) – The United States providing Kiev with lethal weapons will not promote the resolution in Donbass, and will escalate tensions, Kremlin spokesman Dmitry Peskov said Tuesday. “We have expressed our clear and unambiguous position on this issue that such decision would not promote resolution of the conflict in eastern Ukraine, firstly. Secondly, de-escalation of tensions… We do not know the US position on this issue yet,” Peskov told reporters. Ukrainian President Petro Poroshenko said earlier on Tuesday that the US Senate had approved the allocation of $500 million to support Ukraine in sectors of security and defense, adding that Kiev would receive defensive lethal weapons. Commenting on the media reports alleging that the Russian government could halt humanitarian aid supplies to Donbass, Peskov said the residents of self-proclaimed Donetsk and Lugansk people’s republics (DPR and LPR, respectively), rejected by Ukraine, will not be abandoned. “I would like to note that of course, nobody will leave in trouble the residents of the unrecognized DPR and LPR republics which were rejected by their own country,” the spokesman said when asked whether Russia would carry out social payments to the regions. Russia has been delivering humanitarian aid to Donbass since 2014. Within this period, Russia's Emergencies Ministry delivered about 69,500 tons of aid to the region. Kiev has launched the military operation in eastern Ukraine after residents of the region refused to recognize the new Ukrainian government that came to power as a result of a coup in February 2014. 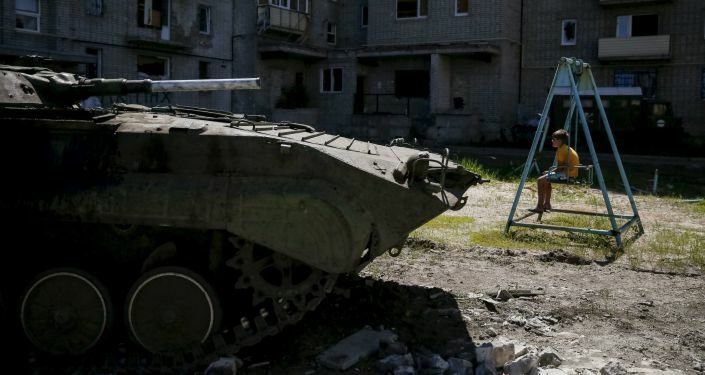 In 2015, a ceasefire agreement brokered by the leaders of the Normandy Four group (France, Germany, Russia, and Ukraine) was reached in Minsk, but the situation has remained tense, with both parties accusing each other of violating the ceasefire.